BEIJING, Dec. 13 (Yonhap) — South Korean actress Song Hye-kyo will attend a state dinner to be hosted by Chinese Presidet Xi Jinping for President Moon Jae-in, an official from the South’s presidential office Cheong Wa Dae said Wednesday. The dinner, set for Thursday, will mark Song’s first public appearance since her wedding late October. 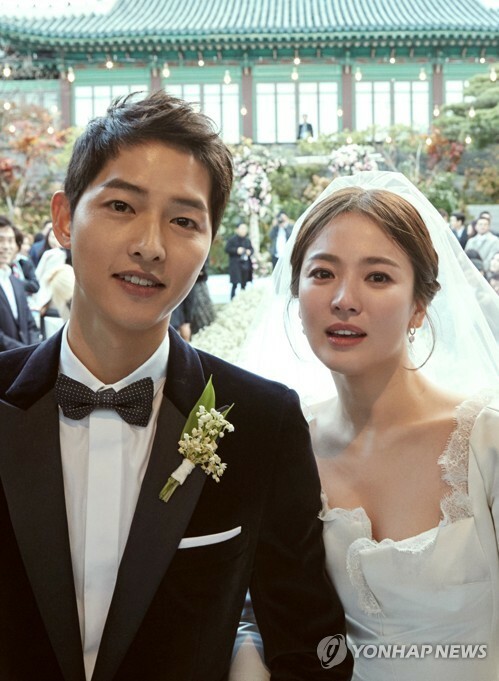 The 35-year-old star of the 2016 hit drama “Descendants of the Sun” tied the knot with another Descendants of the Sun star, Song Joong-ki. Thursday’s dinner will follow a bilateral summit between Moon and Xi. Moon arrived here earlier in the day on a four-day state visit. It will later take him to the southwestern city of Chongqing. Thanks a lot for sharing such amazing post. Keep it up. Students Assignment Help provides the outstanding Australia assignment writing services to the college or university students. Our online assignment writers are highly qualified and have gained their degree from the top universities. Korean movie industry has been becoming more and more popular all over the world.There are many possibilities of creating the environment where the people could learn more details. I hope they enjoy their dinner very well, I am very glad to get this types of information, I regularly visite your site for such types of information. Keep it up.